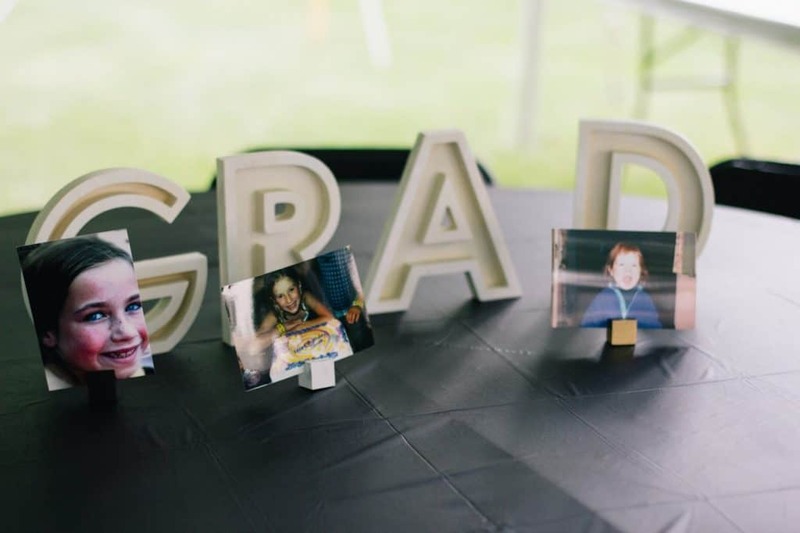 This post is all about throwing a graduation party. 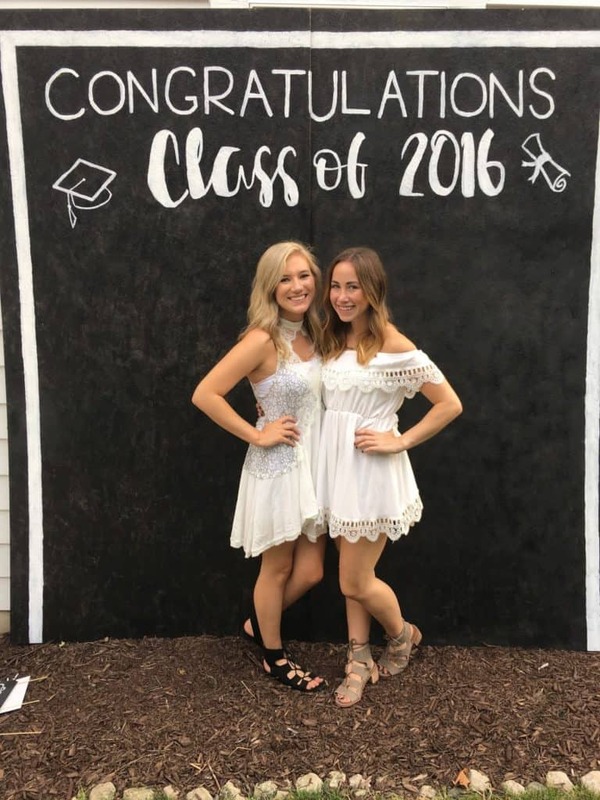 This summer, my friend and I planned and threw a combined graduation party that was so much fun. BUT, it was so stressful. I stressed out about everything. I wanted the best decorations, food, music, etc. Basically, I wanted it to be the "IT" party. That may have been a little too hopeful, but we (and I think the guests;) did have so much fun which is a success in my book. 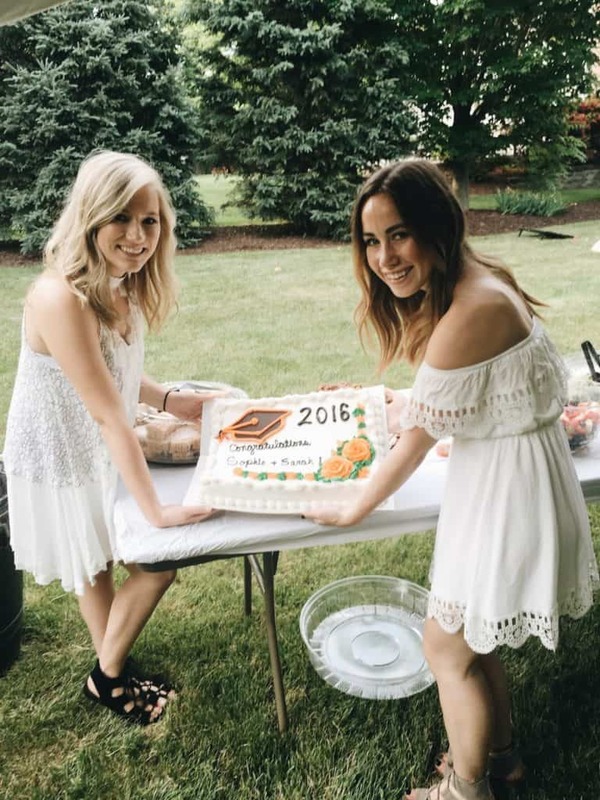 This post shows you how to throw the best graduation party. Every party has a photo board of sorts and I knew that I wanted ours to be BIG. 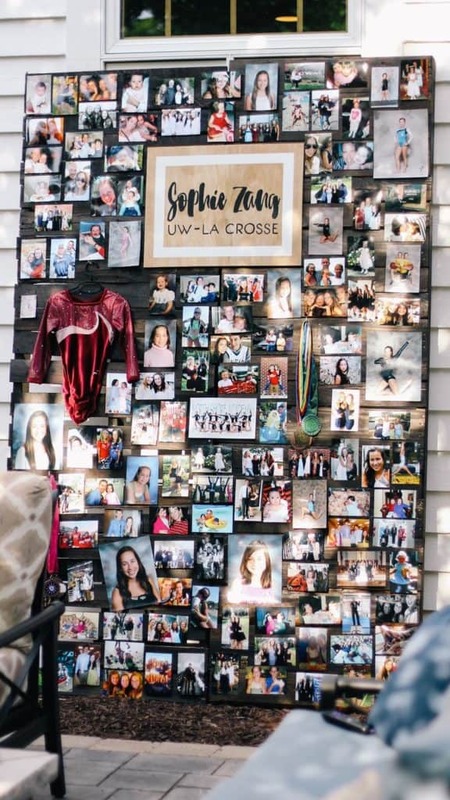 My friend and I both take a ton of pictures and we wanted to make sure we were able to display a majority of our photos for our party. We didn’t want to just glue it to a poster board, so instead, we came up with an inexpensive way of displaying them. We made these by putting two large pallet boards together. I believe our boards were 8 feet tall. I got mine from my boyfriend’s dads company, but pallets are everywhere so call a local company and see if they have any that you can either have or buy. I then got a dark stain and put it on the board. The wood on this pallet was not very good quality so I was worried it was going to seep the stain up, but it ended up working out really well. The sign with my name was purchased at Home Depot and then I painted it on. It was the cheapest smooth wood they had (I am sure it wasn’t over $10) and I just had them cut it to the size I needed it to be. BTW, save the leftovers of the woodcut!! You can use it for another project. To get the lettering so perfect, I put it in Photoshop with the font I wanted and correct size of the wood, then printed it on normal printing paper. I then laid transfer paper I got off of Amazon and copied it onto the wood. That way I knew exactly where to paint. We ended up just putting a cute piece of washi tape at the top of the picture then nailing the washi tape into the wood. This way we didn’t ruin the picture with holes and we made sure it didn’t fall off. We wanted a place that people could go to with props and take cute pictures. After searching online for hours for something that we could just purchase and put up, we ended up just making it because we couldn’t find anything! My friend actually made this (she’s an amazing artist) but I will tell you how she did it. She got two large wood boards from Home Depot and painted them black. She then traced (with a pencil, I would have needed to use a stencil but she was able to do it with her hands) the outer edge, words, and drawings and then painted them in white. After it was dry, we put them together and leaned them up against the house. 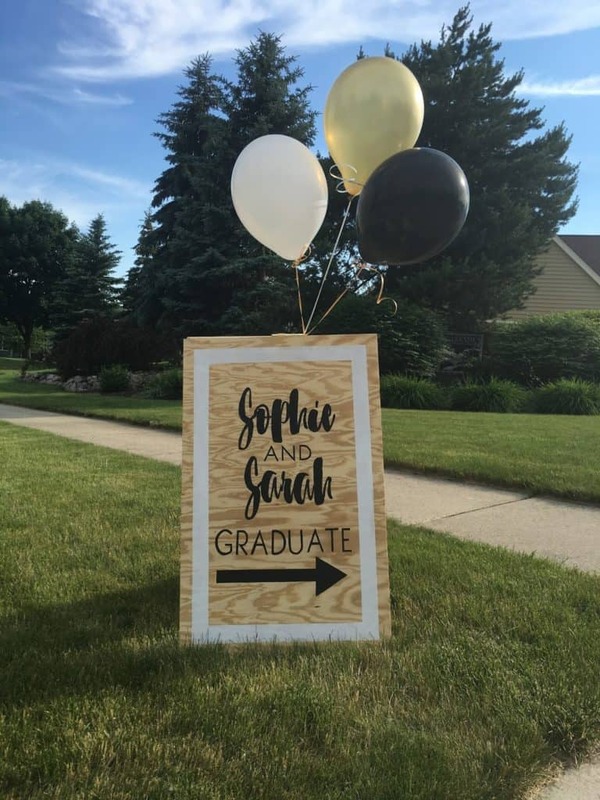 To add some cute extra touches, we had signs that were at the end of both the streets that our party was on. I’m sure everyone would have been able to find the party even if these weren’t there, but it was a little something to add to the “cuteness”. These were super easy to make and really affordable. I got a wood from Home Depot that was thick enough to stand up without bending and had them cut it in two equal parts (I believe I did 3.5 feet x 2 feet…not positive though!). I then traced what I wanted it to say and painted it on. Once dry, I got these door hinges and super glued them to both of the wood pieces. I left them laying down overnight before putting it up just to make sure the glue was dry. On the day of the party, I blew up some balloons and attached it to the sign just to make sure that no one missed it. One of the great things about graduation parties is all the money you receive ;). 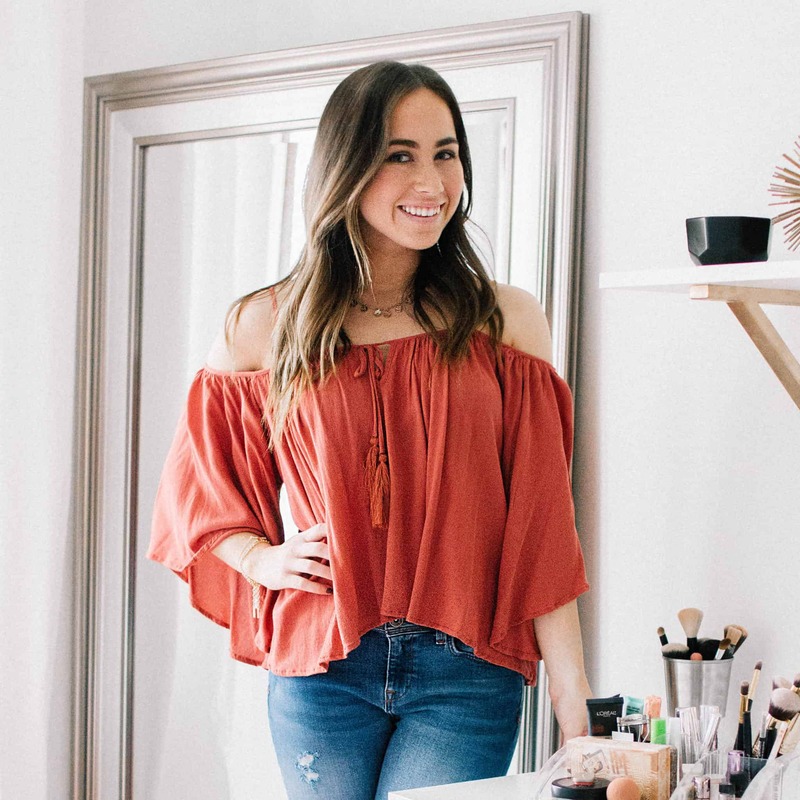 If you don’t have a designated place for the cards or gifts to go, guests don’t know where to put it and it could get lost. To make sure this didn’t happen, we had a table specifically for cards and gifts. To make this sign, I just used leftover wood from the signs (above) and got smaller hinges to put them together. Basically the same exact process as above, just on a much smaller scale. I got my card hat from Amazon and it was the perfect place for cards to go! On the eating tables, we wanted something to go in the center so they weren’t as plain. The GRAD letters came from Amazon (I couldn’t find the exact ones but these are similar) and were really inexpensive. The wood blocks were from Amazon and my dad quickly used a saw so that there was an insert going halfway through the block. In the insert I put pictures of my friend and me growing up. Disclaimer- These were cute but make sure you tape down the woodblock! Ours were not taped down and the wind kept blowing them away. I would definitely recommend having a Snapchat filter! 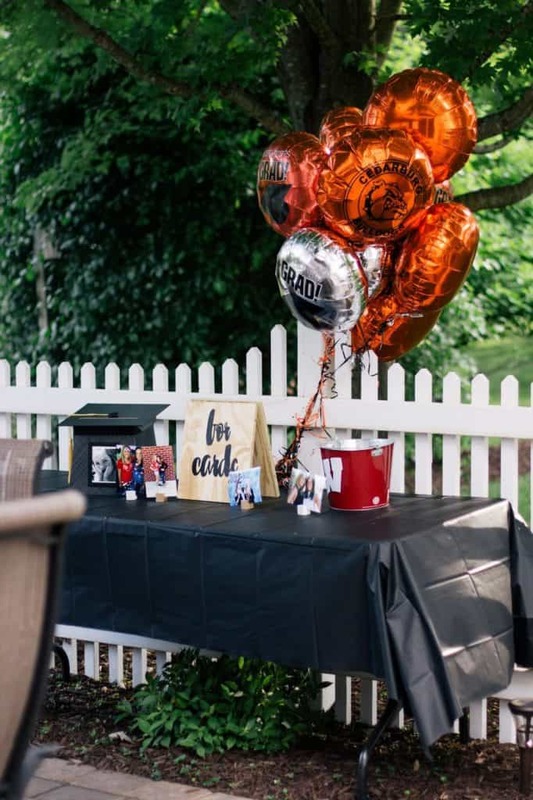 They are super inexpensive and it’s really fun to see pictures your guests posted after the party! I made our filter in Photoshop BUT there are way easier ways to do it. 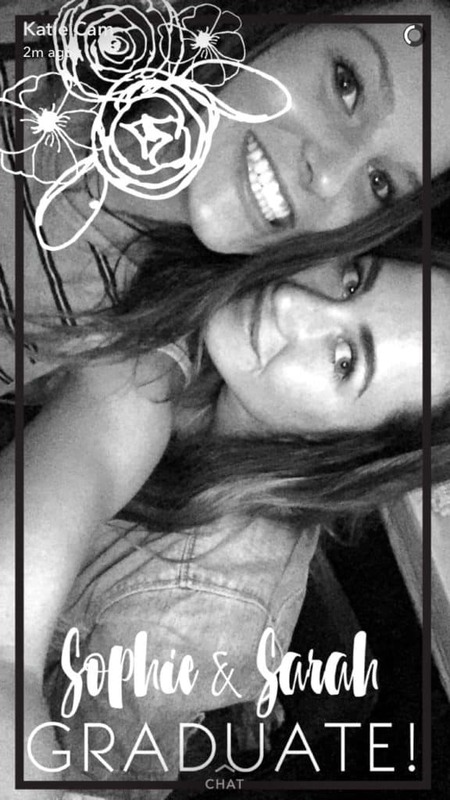 Canva has great templates to use if you just search “Snap chat filters” and you can customize them to how you want it. 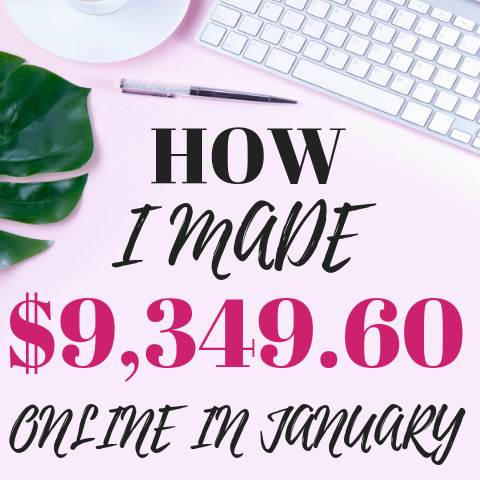 I am sure if you just did a google search on it, you would easily be able to find a ton of websites that offer free templates. 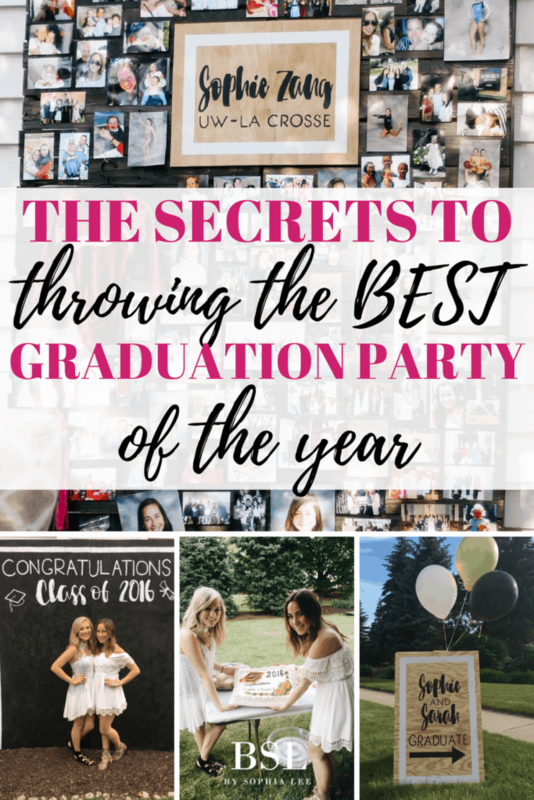 Your high school graduation party only happens once, so make sure to enjoy it! I know it can be stressful planning such a big party, but it will be over really quick and believe me…it pays off (thank you friends and family ;). 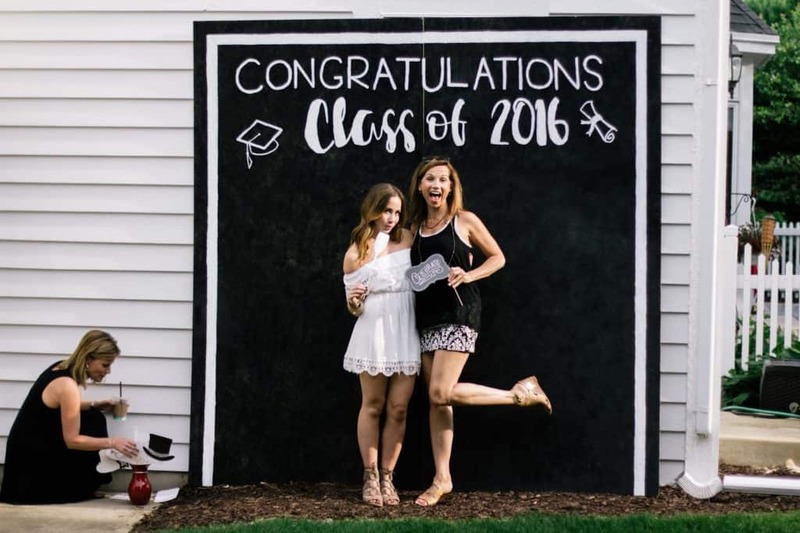 Hopefully, these pictures sparked some ideas for your own graduation party.